Amber Socks Red Ale — a full-bodied beer with a caramel notes, and plenty of finishing hops. This is another all-grain recipe formulated to be brewed on a simple 3-gallon (11-L) all-grain brewery. The original 5-gallon (19-L) recipe is an extract recipe. There is also a countertop partial mash version. 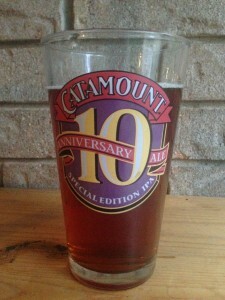 This beer is inspired by Cambridge Brewing Company’s Amber Ale, although it isn’t a clone. It’s full-bodied, with some caramel sweetness, but balanced by 39 IBUs and with a pronounced hop aroma. This recipes uses US 2-row malt for the base malt. The diastatic power (DP) of this malt is high, so there is no need to mash for an hour. The recipe gives 45 minutes as the mash time, but you could likely cut this down to 30 minutes — or maybe even 20 minutes — without causing any problems. For 3.0 gallons (11 L) of beer at this original gravity (12.5 °Plato, OG 1.050) , you do not need to make a yeast starter when using a tube or XL smack pack of liquid yeast. 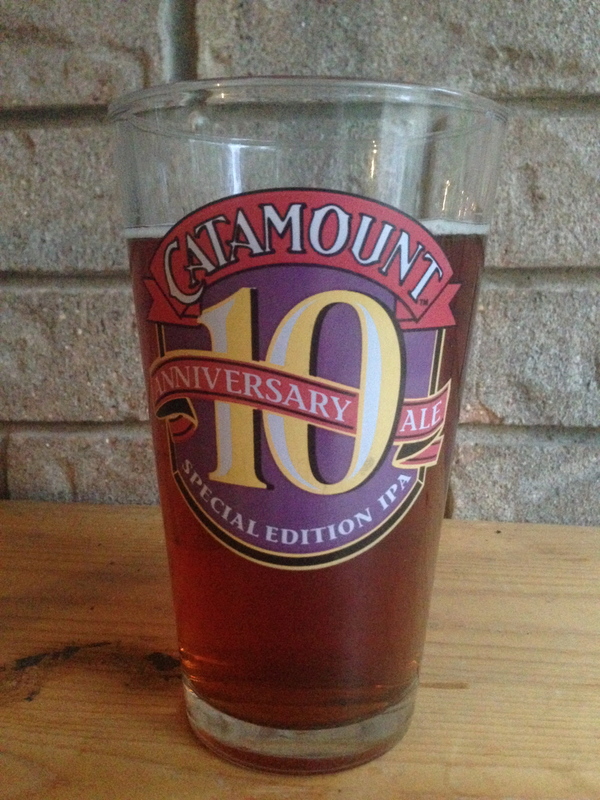 An amber ale with caramel malt flavor and lots of hop flavor and aroma. Heat 8.8 qts. of brewing liquor to 164 °F and mash grains — in your brewpot — at 153 °F, for 45 minutes. Stir the mash a couple times and heat briefly to maintain temperature. Heat mash, while stirring, to mash out temperature of 168 °F. Scoop mash into 3-gallon beverage cooler lined with a steeping bag. (If you can’t quite fit all the grain in the cooler, and have to discard a little of it, it’s not the end of the world.) Recirculate wort until almost clear, then run off. (Don’t recirculate more than 10 minutes.) Sparge steadily over 45 minutes to collect 3.5–4 gallons of wort. You will need around 8 quarts of sparge water, heated to 170 °F for this. Vigorously boil wort for 60 minutes, to yield a post-boil volume around 3.25 gallons. (Top up the boil with boiling water, if needed, while the wort is boiling.) Add hops and Irish moss at times indicated. Chill wort, then rack to fermenter. Your yield should be about 3 gallons. Aerate wort thoroughly and pitch yeast. Ferment at 68 °F. After fermentation stops, let beer settle for 2–3 days, then rack directly to keg or secondary fermenter. Carbonate to 2.6 volumes of CO2. Heat 8.3 L of brewing liquor to 73 °C and mash grains — in your brewpot — at 67 °C, for 45 minutes. Stir the mash a couple times and heat briefly to maintain temperature. Heat mash, while stirring, to mash out temperature of 76 °C Scoop mash into 3-gallon (11-L) beverage cooler lined with a steeping bag. (If you can’t quite fit all the grain in the cooler, and have to discard a little of it, it’s not the end of the world.) Recirculate wort until almost clear, then run off. (Don’t recirculate more than 10 minutes.) Sparge steadily over 45 minutes to collect 13–15 L of wort. You will need around 8 L of sparge water, heated to 77 °C for this. Vigorously boil wort for 60 minutes, to yield a post-boil volume around 12 L. (Top up the boil with boiling water, if needed, while the wort is boiling.) Add hops and Irish moss at times indicated. Chill wort, then rack to fermenter. Your yield should be about 11 L. Aerate wort thoroughly and pitch yeast. Ferment at 20 °C. After fermentation stops, let beer settle for 2–3 days, then rack directly to keg or secondary fermenter. Carbonate to 2.6 volumes of CO2.